Just a few thoughts that were traveling through my head, prompted by some threads I partook on FB that had to do with shock collar training - which seems to rise steadily where I live, sadly. Owners who turn to these trainers are at times described as lazy, but that's not the word I would use. Impatient might be a better one, and not having a realistic expectation how long it takes to get reliably trained behaviors and, more importantly, desired routines and habits. My rule of thumb is 2 years, whether that is a puppy or an older rescue dog, some less of course, but with some dogs it can take weeks to decompress before they can relax - and learn. Any stressors in between delays that. So owners become impatient and think that there is "something wrong" with the training method if their Border Collie who has had all of 8 weeks social class and 8 weeks of beginner obedience doesn't walk nicely on a loose leash, or their adolescent Vizsla suddenly doesn't come on recall. Some people, and I have had a few such clients over the years, also really have no aptitude for behavior, dogs, and handling. They are patient, they mean well and do their best, but they authentically don't get it and need a lot of hands-on continued support, which cost money (trainers have to eat too) they may not have. Shock collar trainers profit on that and offer a simpler solution. Unwanted expressions are suppressed, wanted ones are forced. The owner sees immediate results which is reinforcing for the owner. The overt side-effects often aren't immediately apparent, and most people do not understand the signs of deep distress in the dog. 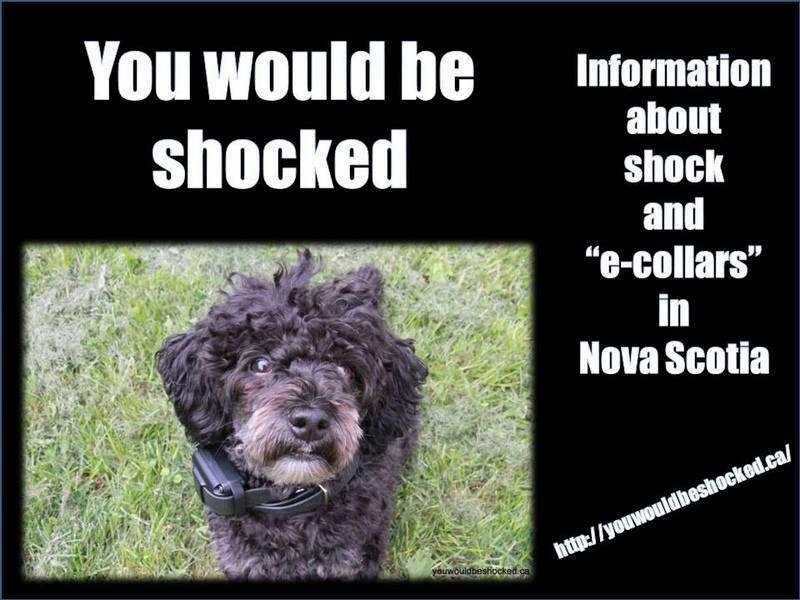 Shock collar trainers give people what the people want - or they think they want, because most don't want their dog to suffer for a lifetime under the threat of pain, but they don't understand that he does. Ethical trainers are spokespeople for the dog. They try to identify which stressors have to be eliminated, what needs to be changed so that the dog feels safe. A dog who feels safe is a safe dog. Ethical rescue does all they can to reduce stress for each dog who is in front of them, even if that means humane euthanasia.